When I saw YWAM Publishing come up on the list of reviews coming up for the Old Schoolhouse Magazine’s Review Crew, I might have shrieked a little. We’re a little bit fanatical about Youth With A Mission around here. 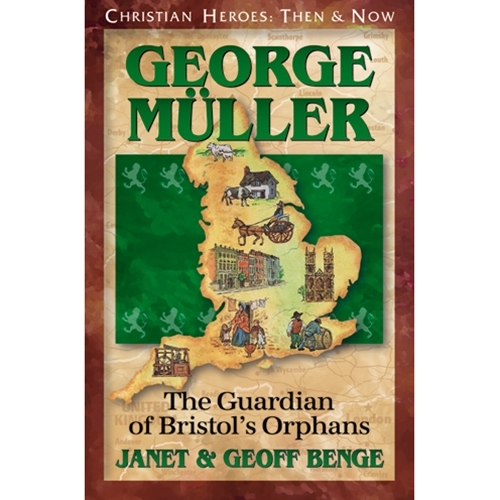 I looked through our current collection and selected a book we did not own yet from their Christian Heroes: Then & Now series titled George Muller: The Guardian of Bristol’s Orphans by Janet and Geoff Benge, along with it’s Unit Study Curriculum Guide Christian Heroes Then & Now: Unit Curriculum Guide George Muller. Oh yes. We love them. I found my love for YWAM recently, having borrowed a few books from a friend. I went a little crazy at our local homeschooling convention this summer and purchased all but the Gladys Aylward volume, which we started out with about a year ago, so while I have yet to get through all of what we own, I have loved what I’ve read so far. I’ve heard of people actually using these as a unit study for several subjects – history, geography, and Bible. I’d love to get there, but I haven’t dove in quite yet. For now I use them as read alouds, typically at bedtime, and all my children beg for more and more. One chapter is never nearly enough. The unit study guides are a fabulous extra, to keep the kids thinking and ask key questions for each chapter. It takes all the work out of making this a study instead of just a fun historical work based on a true story. Covering Student Exploration, Social Studies, Bible Study, Community Links, Related Themes to Explore, Bibliography or Related Resources, and Culminating Event, the Unit Study Guide is worth it’s weight in gold in not having to attempt to look up anything extra on my own – it is a history curriculum and then some for the elementary ages! George Muller: The Guardian of Bristol’s Orphans begins just before his conversion, and covers, in dramatic tale, his life, conversion, and work. The kids cannot get enough of this – or any of the YWAM books we’ve read. We read and discussed one or two chapters at a time. Containing 17 chapters, we worked through it somewhat slowly, just because of busy nights around here. but in a calmer season, we’d make it through the book in about two weeks. I love the stories just as much as the kids do, so I prefer to read to them, but they are recommended for ages 10+. That said, my 7 and eight year olds also pick up YWAM books regularly to read on their own. They have a few questions, but they are easy enough to understand for the most part. Sterling was sick over the weekend and laying on the couch. “Can I read Laura Ingalls Wilder?” was his question. Why, yes, you can! I love that, of all the books and entertainment options, he wanted to lay and read a YWAM book. 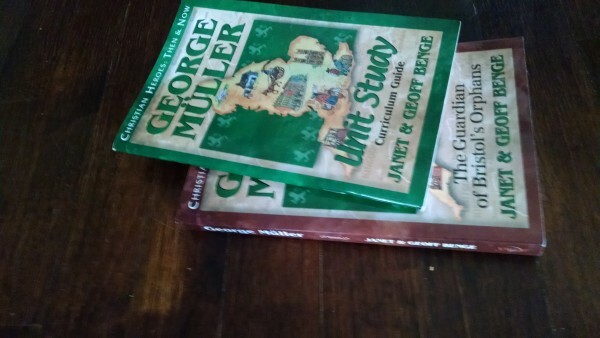 I actually had to put out the command not to read the Muller book on their own to my children so it would remain a mystery while I read to them! YWAM was founded in 1960. It is a nonprofit organization with missions emphasis – your purchase goes to support people all over the world. The Christian Heroes series focuses on people who have accepted God’s call to missions and tells the stories of their faith and lives. George Muller: The Guardian of Bristol’s Orphans is paperback and contains 208 pages. It retails for $9.99, but YWAM’s price is $7.50. The accompanying Unit Study Guide is also paperback and contains 62 pages. It also retails for $9.99, but YWAM offers that for $7.49. Find YWAM Publishing on Facebook, Twitter, and Pinterest. To read the reviews of others on the crew and the many, many book options available for this review, check out the Review Crew Blog. 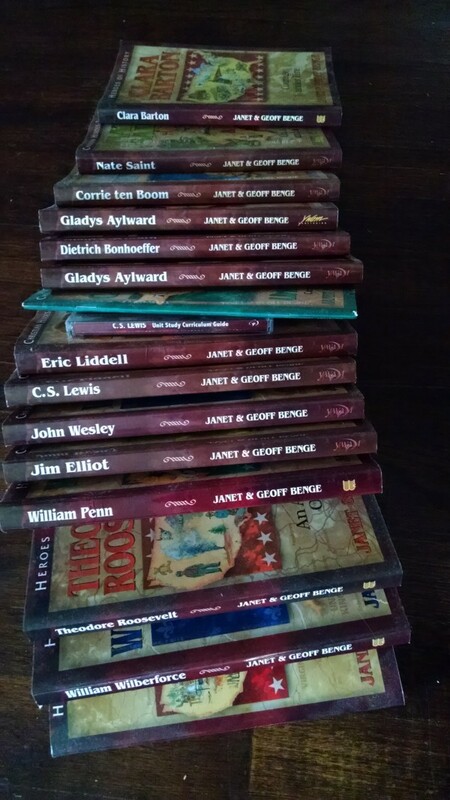 I used these books with my older and younger when I home schooled. We loved all the ones we had. Very well written.